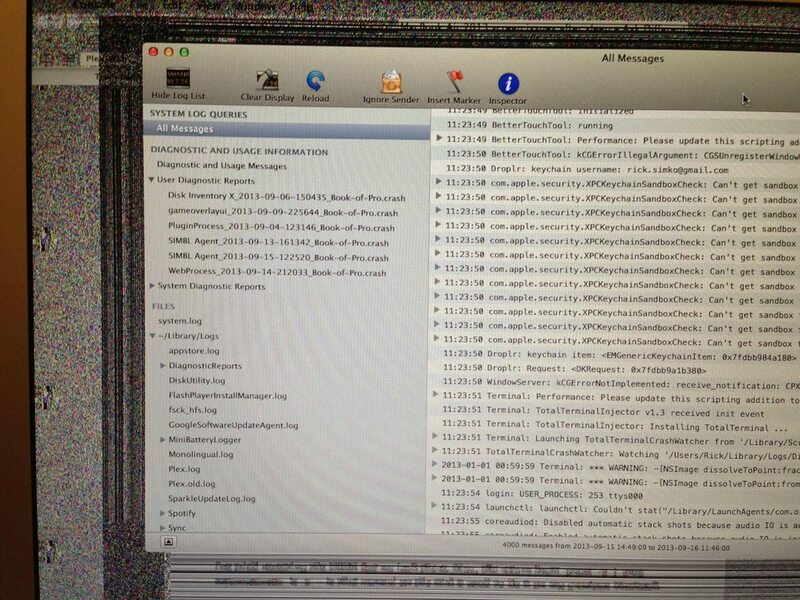 I'm having some issues with my MacBook Air (2013). Whenever the system enters hibernation, as it does after a couple of hours of sleep, the screen gets distorted when it comes back from sleep. These issues go away with a reboot into safe mode and then reboot (a tip which I found in a different thread here), however it all comes back after the next hibernation. It seems to be power related, as it only happens if the power cord is plugged in when the computer first goes into deep sleep and then gets plugged out while in sleep. I've tested this thoroughly using the DeepSleep widget and found how to reproduce it. I've tried resetting the PRAM but no luck there. Also, the return from pmset -g | grep hibernatemode is 0 - is that normal on the Air? It used to be 7 on my previous MacBook. Another thing that might be worth noting is that this started happening after I ran out of battery while the computer was on, however it happens every time it sleeps without power cord since then, even though it doesn't run out of power. Although that time has already past (It's 04:52 CEST when it schedules that). Also, there is no console output from when I wake the computer, even though I waited a good couple of minutes at the black screen before forcing a reboot as well as closed and reopened the lid. I took the computer to the AppleStore, seeing it was only about three weeks old, and got them to take a look at it. Since it's a company computer I had some company benefits granting me a temporary replacement while they were fixing mine. I took my TimeMachine copy and restored it on to the borrowed Mac. I was surprised to find that the issue still appeared, which was quite annoying. So I restored the Mac again, messed around with the pmsetsettings and tried to reproduce the issue but it was impossible. I then remembered that the issue started appearing a few days ago when I did a battery calibration (Drained the Mac completely) so I restored to a TimeMachine backup from before that and Boom, the issue was gone. At about the same time they called from the store and said that they couldn't reproduce the issue, so I told them what I had found, came in and got my computer back. All in all, a really weird story but apparently something related to draining the battery while the computer was still on got corrupted and was then included in the TimeMachine backup. Are there any relevant messages shown by pmset -g log or in system.log? I think that pmset -g hibernatemode should be 3 by default on laptops both on battery and AC power. man pmset says that "standby only works if hibernation is turned on to hibernatemode 3 or 25". What does pmset -g standby return on battery power or AC power? Did you start using the Deep Sleep widget before or after those issues started? Since starting up in safe mode fixed the issues, have you checked if Disk Utility shows some errors when you verify the OS X volume, or have you tried deleting /var/db/dyld/? I had a similar issue on my MacBook Air where toolbar icons and other icons occasionally disappeared, but it stopped happening after I reinstalled OS X from the recovery partition. The screen was never distorted after waking up from sleep though. In any case, you could try reinstalling OS X: it only takes about an hour if you have a fast Internet connection, it keeps user files and settings in place, and it might also fix other issues. Upgrading to 10.9 might have the same effect though. Not the answer you're looking for? 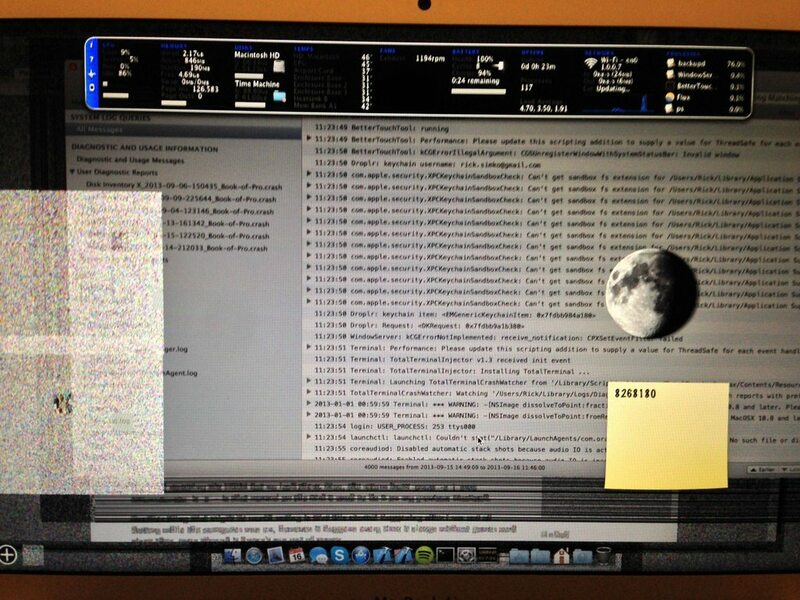 Browse other questions tagged macbook sleep-wake screen hibernate . 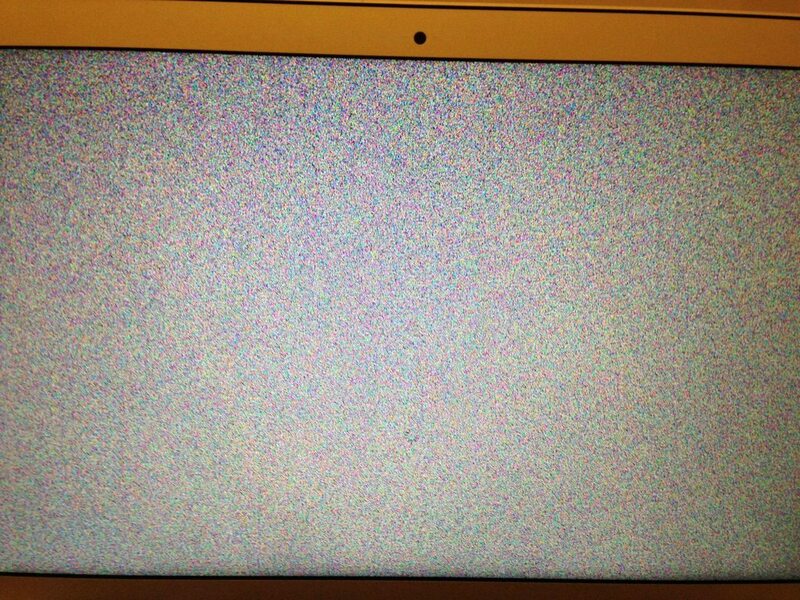 Why does my MacBook Air 2013 wake from sleep every minute on Mavericks?